contact in the city: the doorman. Our doorman knows the city like no other and can give you the unique opportunity to transform yourself from a visitor into a local. He knows all the special local features, but can also tell you the city’s secret locations and current hotspots. He is your no.1 contact – including for business questions: whether you need to find a suitable conference room, organise an event or need information about current events in art and culture, our doorman is available for you around the clock, always competent, flexible and service-oriented. Your second home awaits you. THE DOORMAN stands for stylish and luxurious living with all the quality of a high standard hotel and the unique feel-good comfort of your own home in the best location in the city. takes comfort to a new level. Whether a weekend trip, multi-day trade fair visit or long stay – in our spacious high class serviced apartments, your stay will be an exclusive feel-good experience. Our apartments have the same harmonious atmosphere that you have at home – but with an extra dose of luxury: a stylish interior, separate living and sleeping areas, a fully-equipped kitchen, cutting-edge entertainment technology and all the technical must-haves. You will get your own nameplate and letterbox. 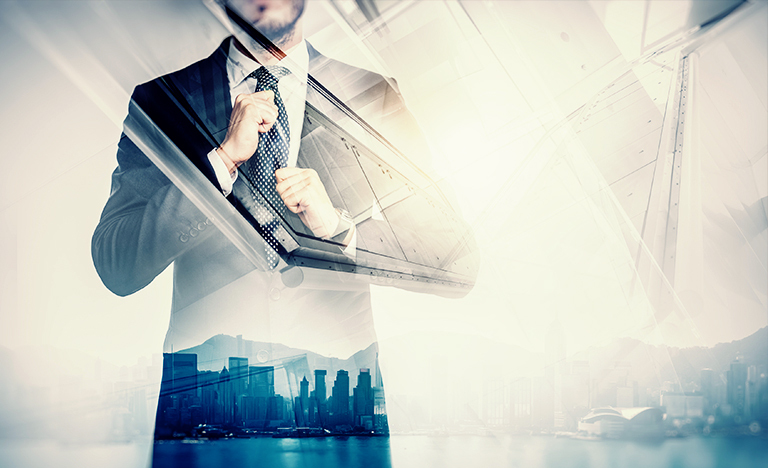 The main principle and your personal benefit of THE DOORMAN is that it will allow you to work independently and without restriction but also aims to help you to relax. 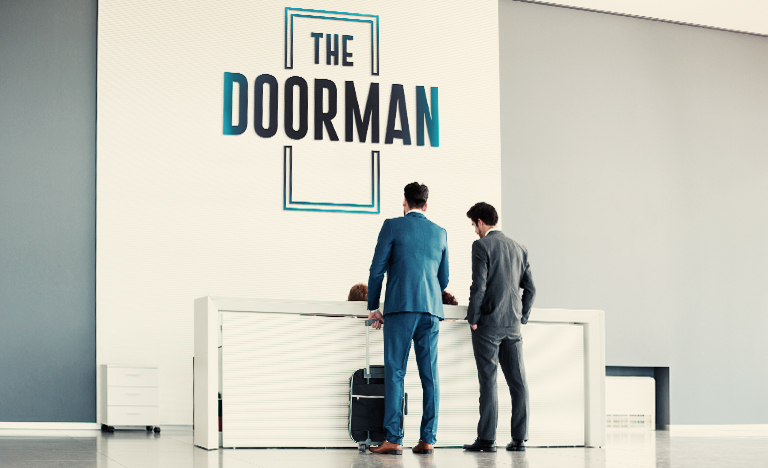 With its above-average sized apartments and 24-hour concierge service, THE DOORMAN presents a unique concept in the segment of high class serviced apartments. Its service package is just as special and luxurious, comprising a comprehensive range of services and comfort features. Choose from the additional options available to create your own individual package tailored to both your lifestyle and business-related needs and wishes. we develop unique service offers. 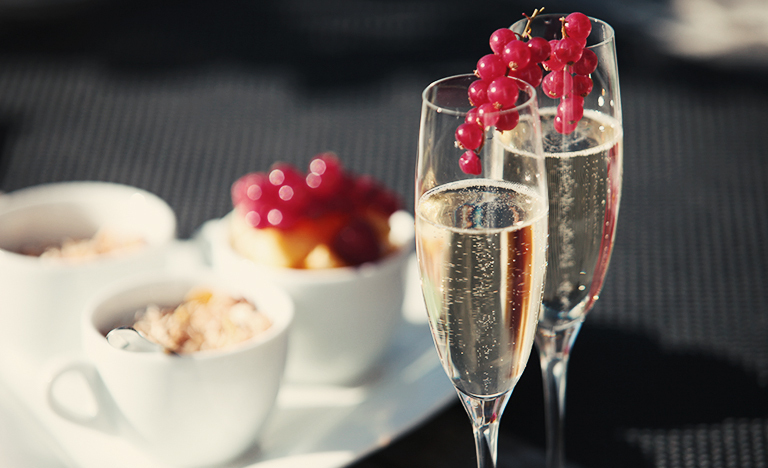 The varied service packages are continuously adapted to suit the needs of our guests and meet the highest of standards. We are able to guarantee this high standard primarily because of the close collaborations we enjoy with our numerous partners. Our network includes selected fitness studios, restaurants, bars, beauty and wellness salons, event management agencies and professional interpreters. THE DOORMAN is a service and design-oriented hotel brand that is passionately dedicated to the concept of high class serviced apartments. We develop individual, spacious designer apartments in selected locations in the most varied of cities. Our 24-hour concierge service is unique in the luxury segment: full service at the highest level at any time of the day or night. should your arrival time be after 07.30 pm or the reception is temporarily unoccupied kindly call our security service at 069–6976–1202 or –1203. Please note that you will need to dial prefix 0049 for Germany should you be making this call from a foreign mobile phone: 0049–69–6976–1202 or –1203. The Doorman Betriebsgesellschaft mbH is a German limited liability company (Gesellschaft mit beschränkter Haftung) in accordance with German law. 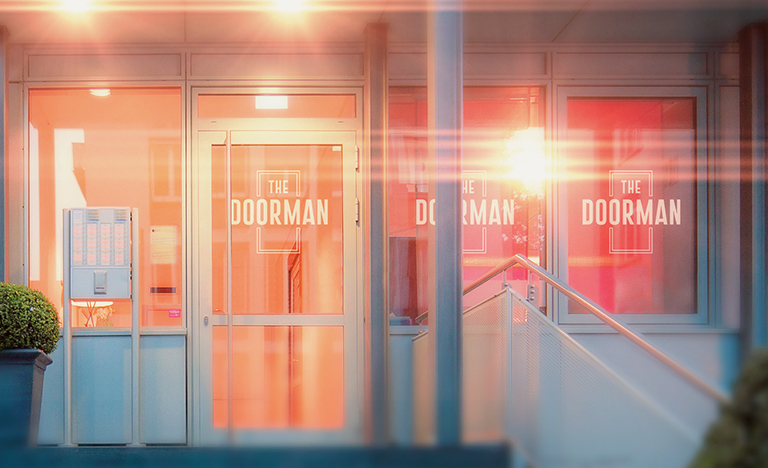 The Doorman Betriebsgesellschaft mbH holds all rights to this website’s design and content. All rights reserved, unless explicitly stated otherwise. Sources for quotations are given. All text, images, diagrams, audio files, animations and videos, and their arrangement on the website, are protected by copyright and other laws for the protection of intellectual property. No content on this website may be reproduced, distributed, altered or made available to third parties for commercial purposes without express written permission of The Doorman Betriebsgesellschaft mbH. All logos, company names and trademarks are the property of The Doorman Betriebsgesellschaft mbH. In addition to this, some pages contain images subject to third-party copyright. The content of this website is intended for information on The Doorman Betriebsgesellschaft mbH only. The Doorman Betriebsgesellschaft mbH accepts no responsibility or liability for the accuracy or completeness of the information contained on this website, nor for its being up to date. This also applies to hyperlinks. Changes and additions to the information presented on this website will be carried out without prior notice. 1.1 These General Terms and Conditions apply to contracts concerning the rental of hotel rooms / apartments for the purposes of accommodation as well as all other services and deliveries of the hotel (Hotel Admission Agreement) rendered for the customer in this context. The term ‘Hotel Admission Agreement’ encompasses and replaces the following terms: Accommodation, guest admission, hotel and hotel room agreement. 1.2 The rented rooms may not be sublet to other parties or used for any other purpose than that of accommodation without the prior written consent of the hotel, in which regard Section 540 (1) line 2 of the German Civil Code (BGB) is waived provided that the customer is not a consumer. 1.3 Any general terms and conditions of the customer only apply if this has been expressly agreed in advance. 2.1 The contractual partners are the hotel and the customer. The contract comes into being when the hotel accepts the offer of the customer. The hotel is free to confirm the booking in writing. 2.2 The contractual partners are the hotel and the customer. If a third party has booked a room for the customer, that third party and the customer shall be jointly and severally liable towards the hotel for all obligations under the Hotel Admission Agreement if the hotel has received a corresponding declaration from the third party. 2.3 All claims against the hotel shall become time-barred one year after becoming legally enforceable. Claims for damages shall become time-barred in five years, regardless of whether or not the party was aware of them, unless they are based on injury to life, limb, health or freedom. Such claims for damages shall expire in ten years, regardless of whether or not the party was aware of them. The shortened limitation periods do not apply to claims based on intentional or grossly negligent breaches of duty on the part of the hotel. 3.1 The hotel is obliged to keep the rooms booked by the customer free and render the agreed services. 3.2 The customer is obliged to pay the agreed and valid prices of the hotel for the use of the rooms and for any other services used by the customer. This also applies to services rendered by third parties and paid for by the hotel that the customer has arranged directly or through the hotel. 3.3 The agreed prices include the valid taxes and local duties as of the date of the conclusion of contract. The prices do not include duties owed by the guest under the local municipal laws, e.g. visitor’s tax. If the rate of statutory VAT changes or if local duties on the object of the service are introduced, changed or abolished following the conclusion of the contract, the prices shall be revised accordingly. With regard to contracts with consumers, this only applies if the period between the conclusion of the contract and the fulfilment of the contract exceeds four months. 3.4 The hotel can render its consent to a subsequently requested reduction in the number of booked rooms, services of the hotel or length of stay of the customer contingent on an increase in the price of the rooms and/or other services of the hotel. 3.5 Invoices of the hotel that do not bear a payment date must be paid in full within ten days of being received by the customer. At any time, the hotel can demand that the customer immediately pay all outstanding receivables. If the customer defaults on payment, the hotel is entitled to charge default interest at the currently applicable statutory rate of 9 per cent over the base rate or, for legal transactions involving a consumer, 5 per cent over the base rate. The hotel reserves the right to produce evidence that it has suffered a greater loss. 3.6 The hotel is entitled to request a reasonable deposit or the provision of collateral, e.g. in the form of a credit card guarantee, from the customer upon the conclusion of the contract. The amount of the deposit and the payment deadlines can be agreed in writing in the contract. Deposits and collateral for package holidays do not affect the statutory provisions. 3.7 In justified cases, e.g. if the customer defaults on payment or if the scope of the contract is extended, the hotel is entitled – even after the conclusion of the contract, until the arrival of the customer – to request the payment of a deposit or the provision of collateral as described in Article 3.6 above or an increase in the deposit or collateral agreed in the contract until the agreed payment is made in full. 3.8 Furthermore, both at the start of and during the customer’s stay the hotel is entitled to ask the customer to pay a reasonable deposit or provide collateral, as described in Article 3.6 above, for current and future claims under the contract, provided that a deposit has not already been paid or collateral has not already been pledged under Articles 3.6 and/or 3.7 above. 3.9 The customer may only offset his/her claims against those of the hotel if his/her claim is undisputed or has been established by final judgement. 4.1 The customer may only withdraw from the contract concluded with the hotel if the customer has been expressly granted a right of withdrawal in the contract, the customer has another legal right of withdrawal or if the hotel expressly agrees to the dissolution of the contract. The agreement of a right of withdrawal and any agreement to the dissolution of the contract must take place in writing. 4.2 If the hotel and customer have agreed a deadline for the free withdrawal from the contract, the customer can withdraw from the contract without entitling the hotel to payment or damages until that date. The right of withdrawal of the customer shall expire if the customer fails to exercise his/her right of withdrawal by the agreed date. 4.3 If no right of withdrawal has been agreed or if it has expired, if the customer has no statutory rights of withdrawal or termination and if the hotel does not agree to the dissolution of the contract, the hotel shall limit its claim to the agreed remuneration despite the failure of the customer to make use of the service. The hotel must count revenue generated by renting the rooms out to other parties and the expenses it will save towards this remuneration. If the rooms are not rented out to other parties, the hotel can deduct a lump sum for the expenses it will save. In this case, the customer is obliged to pay at least 90% of the contractually agreed price for accommodation with or without breakfast, including for package arrangements with third-party services, 70% for half-board and 60% for full-board arrangements. The customer is free to provide evidence that the aforementioned claim did not arise at all or was not as extensive as alleged. 5.1 If it has been agreed that the hotel can withdraw from the contract free of charge within a given deadline, in the same period the hotel is also entitled to withdraw from the contract if other customers are interested in the contractually booked rooms and if, having contacted the customer and set him/her a reasonable deadline, the customer does not waive his/her right of withdrawal. 5.2 Furthermore, if an agreed or requested deposit or collateral is not paid/provided as described in Articles 3.6 and/or 3.7, even after the expiry of a reasonable subsequent deadline set by the hotel, the hotel is entitled to withdraw from the contract. – Article 1.2 has been breached. 5.4 The due withdrawal of the hotel does not entitle the customer to claim damages. 6.1 The customer is not entitled to stay in specific rooms unless this has been expressly agreed. 6.2 Booked rooms are available to the customer from 3 p.m. on the agreed date of arrival. The customer is not entitled to access the rooms before this time. 6.3 If unable to provide rooms, the hotel is obliged to provide the customer with accommodation of at least equal value. 6.4 The customer must vacate the rooms by 12 noon on the agreed date of departure, leaving them clean and tidy. If the customer fails to vacate the room on time, the hotel can charge 50% of the full lodging price (list price) for use of the room exceeding the bounds of the contract until 6 p.m. and 90% of the lodging price from 6 p.m. onwards. This does not give rise to any contractual claims for the customer. The customer is free to provide evidence that the claim of the hotel to compensation is significantly lower or non-existent. 6.5 The term of the contract is temporary and shall therefore end automatically on the agreed date of departure. 6.6 If, after the expiry of the agreed term, the customer/guest continues using the room, he/she shall be fully liable to pay compensation to the hotel if the hotel has already rented the room out to another guest. The continuation or renewal of the contract must be expressly agreed. Verbal collateral agreements are null and void. 6.7 The customer has the option of extending the contract. In order to make use of this option, the customer must provide the hotel with reasonable advance notice in writing of how long he/she intends to continue using the room. 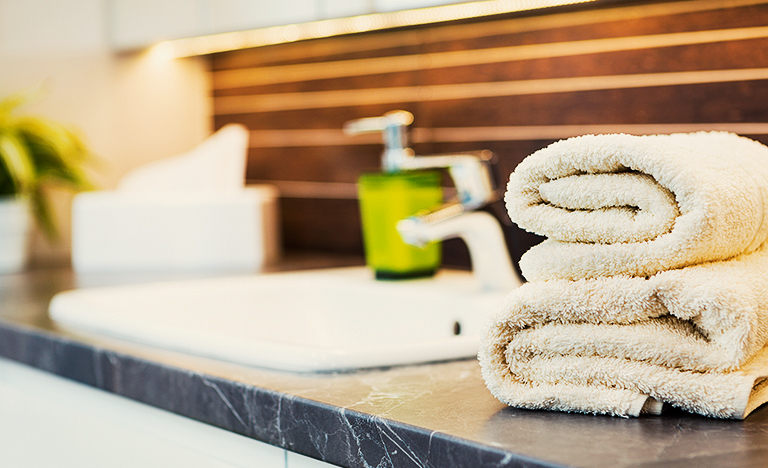 If the hotel has already concluded a contract with another guest for the same apartment, the hotel is entitled to provide the guest with a similar room if the guest wishes to extend his/her stay. If this is impossible, the customer cannot make use of his/her option and the contract shall end upon the expiry of the agreed accommodation period. 7.1 The hotel is liable for injuries to life, limb or health for which it is responsible. Furthermore, it is liable for other damage based on an intentional or grossly negligent breach of duty on the part of the hotel or on an intentional or grossly negligent breach of typical contractual duties of the hotel. A breach of duty by a legal representative or vicarious agent of the hotel is equivalent to a breach of duty by the hotel. Unless provided for otherwise in Article 7, all more extensive claims for damages are excluded. Should the services of the hotel be affected by disruptions or defects, the hotel shall endeavour to find a remedy upon becoming aware of them or if the customer reports them. The customer is obliged to take reasonable steps to help remedy the defect and minimise the potential damage. 7.2 The hotel is responsible for items brought in by the customer in line with the statutory provisions. The hotel recommends that guests use the hotel or room safe. If the customer/guest wishes to bring money, securities and valuables worth more than € 800 or other items worth more than € 3,500, this requires a separate safekeeping agreement with the hotel. 7.3 If the customer is provided with a parking space in the hotel garage or car park, including for a fee, this shall not give rise to a safekeeping agreement. If vehicles parked or left on the hotel premises or items inside them are stolen or damaged, the hotel can only be held liable pursuant to lines 1 to 4 of Article 7.1. 7.4 The hotel shall take the utmost care to provide wake-up calls if requested to do so. It shall handle messages, post and deliveries for guests with the utmost care. The hotel shall assume responsibility for delivery, storage and – if required – forwarding in exchange for a fee. In this regard, the hotel can only be held liable pursuant to lines 1 to 4 of Article 7.1. 8.1 The customer is obliged to immediately report defects in the contractual object of the service or other contractual services to the hotel or demand a remedy. The customer is liable for damage caused by a culpable breach of its duty of care. 8.2 The customer is liable for culpable damage to the object of the contract, including accessories and equipment, caused by the customer or persons granted access to the rooms by the customer. 8.3 The customer must report all defects to the hotel. 8.4 The customer may only withdraw from and/or terminate the contract if the defects are considerable; such an action is only justified if the hotel fails to provide a reasonable remedy within the reasonable deadline set by the customer. 8.5 The claims of the customer shall only remain valid if the report which the customer is obliged to file is not filed and the customer is not responsible for this, if the defect cannot be remedied or if the hotel refuses to provide a remedy. 8.6 The rooms may only be occupied by the number of persons agreed with the hotel. An excessive number of persons in a room can entitle the hotel to terminate the contract with immediate effect and/or charge a reasonable premium. 8.7 In the event of defects or service disruptions, the customer is obliged to take all reasonable steps to help remedy the defect and minimise the potential damage. 8.8 No pets of any kind are permitted unless agreed expressly otherwise with the hotel; if such an agreement does exist, the size and type of the pets must be as described to the hotel. 9.1 Amendments and supplements to the contract, the acceptance of the offer or these General Terms and Conditions must be made in writing. Unilateral amendments or supplements made by the customer are not valid. 9.2 The place of payment, fulfilment and exclusive jurisdiction – including for disputes concerning cheques and bills – is the address of the hotel registered in its legal information. If one of the contractual partners meets the criteria of Section 38 (2) of the German Code of Civil Procedure (ZPO) and has no place of general jurisdiction in Germany, the place of jurisdiction shall be The Doorman Betriebsgesellschaft Welle Frankfurt mbH, Leerbachstraße 7, 60322 Frankfurt am Main. 9.3 German law applies. The UN Convention on Contracts for the International Sale of Goods (CISG) and international private law are excluded. 9.4 If any provision of these General Terms and Conditions should be or become ineffective or null and void, this shall not affect the effectiveness of the remaining provisions. Otherwise, the statutory regulations apply.